I wrote a quilt pattern! It’s a beginner quilter and charm pack friendly modern quilt pattern that has two versions of one quilt. I love to buy charm packs and buy them whenever I can. Then they sit and sit in my stash because I’m not sure what to do with them and I don’t want to waste them. I wrote this pattern to solve this problem for myself and I’m sure I can’t be the only quilter in this situation. Version 1 of “Being Charming is a Plus” uses 180 charm squares (or 4 1/2 charm packs). I made this quilt out of “Sweet Serenade” by Basic Grey for Moda. “Being Charming is a Plus” version 1 using 180 charm squares. Version 2 uses 60 charm squares and solid yardage. I had two “Canadian Maple Squares” packs of “Cookie Book” by Cotton + Steel. These charm packs from Trend Tex Fabrics contain repeats of prints so I was able to create this quilt with just two charm packs and still had charms left to share with my swap partner in the “Cotton + Steel Mini Quilt Swap.” (More on that swap here on the blog tomorrow. “Being Charming is a Plus” version 2 using 60 charm squares and solid yardage. 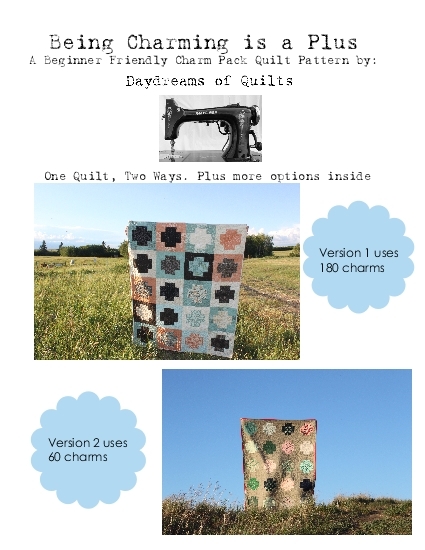 My pattern offers two version of one quilt design plus additional ideas and sizing options. 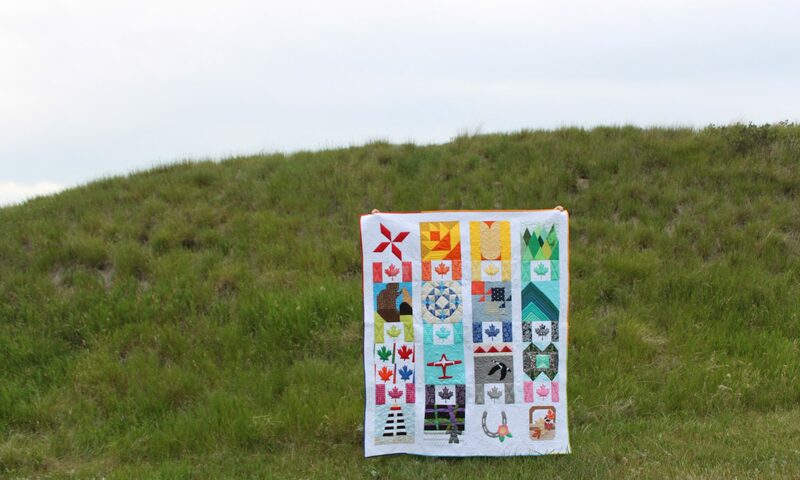 These quilts are throw sized at about 48″ x 60″. “Being Charming is a Plus” is now available on Payhip, Craftsy and Etsy. This pattern is easy to sew and beginner friendly. An experienced quilter can easily piece one of these tops in a day (as I did). If you can sew a straight quarter inch seam on a sewing machine you can make these quilts! “Being Charming is a Plus” can be found on Payhip, Craftsy and Etsy.